In Light Emitting Studies, I employ both cerebral and sensual faculties to make sculptures that combine tiny blinking electrical circuits with simple materials. Sensors integral to the circuits respond to ambient light and change the frequency at which the lights blink. 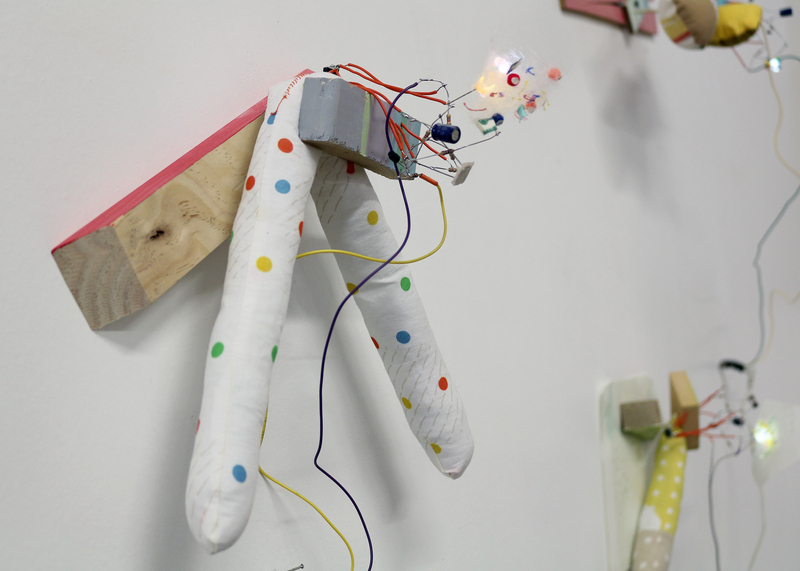 I free-form solder the circuits into sculptural compositions and then augment them with art materials, brightly colored trash, and cheap craft supplies. The resultant amalgamations respond to the environment, signaling tenderly and playfully to the viewer.